A consortium is a group of individuals or organizations who pool financial resources to reach a common goal. While consortiums are most common for large scale works, diminishing grant resources and increased interest in promoting new works through repeat performance have spurred an increase in consortiums for solo instruments as well. The Clarinet Commissioning Consortium, New Music Bassoon Commissioning Fund, and Bass Clarinet Commission Collective are three prime examples of commissioning organizations. Worldwide Concurrent Premieres and Commissioning Fund has indelibly impacted music of the twentieth and twenty-first century by commissioning numerous new works and securing places for many of these pieces within the modern repertoire. Artistically, consortiums allows individuals of all financial and musical backgrounds the opportunity take part in the creation of new music. In an era defined by decreasing funds in the arts and shrinking grant opportunities, consortiums such as FNMC guarantee continued artistic vitality now and into the future. You! All flutists, musicians and music enthusiasts can participate by donating to the project fund and/or by becoming members. Learn more about joining us here. 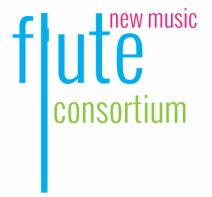 Advanced flutists with a completed undergraduate degree can apply to premiere our current commissioning project. Composers are invited to submit a score to the annual FNMC Composition Competition. Commissioned works will be simultaneously premiered around the country and world at a pre-determined date. FNMC participants interested in premiering a work may express interest here before paying commissioning membership fees.